The cover, the title and the first few chapters were quite enticing in this series of vignettes detailing the sordid affairs of Parisians in seeminly unhappy marriage. The book is a chronicle of 10 illicit affairs and how the perpetrator was found out. Most of the time, it was the men cheating on the women. It was the men cheating on the women after they had a child. It was men cheating on women because that is what men do and oh well, it is to be expected. At first, the women had their revenge, and almost all ended up leaving their husbands. It was only 128 pages, and each chapter was only a few pages long, but the redundancy of the stories and the reasoning behind the affairs dragged it on considerably. 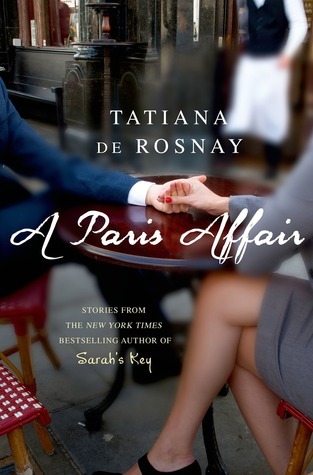 I’m a bigger fan of her otherwise fiction work, de Rosnay is an incredibly talented author. I wonder how this novella came about. Did she just hear or experience one too many affair stories? From my understanding, it’s just normal for both men and women to have an affair at some point in their lives. It’s why the French women looks so chic and svelte all the time, it’s why its the city of romance and where anything goes. There’s even a specific term for it. Le cinq à sept, literally means “from 5 to 7” but its colloquial meaning is an afternoon tryst. It’s basically an extra-marital happy hour for lovers to meet before going home to their spouses. This book does take all the glamour of affairs though. It puts everything in a very realistic light and highlights the emotional toll an affair has on both people in the relationship. © 2015 by Nari of The Novel World. All rights reserved. You can also follow me @TheNovelWorld This was originally posted to The Novel World on 7/30/2015.